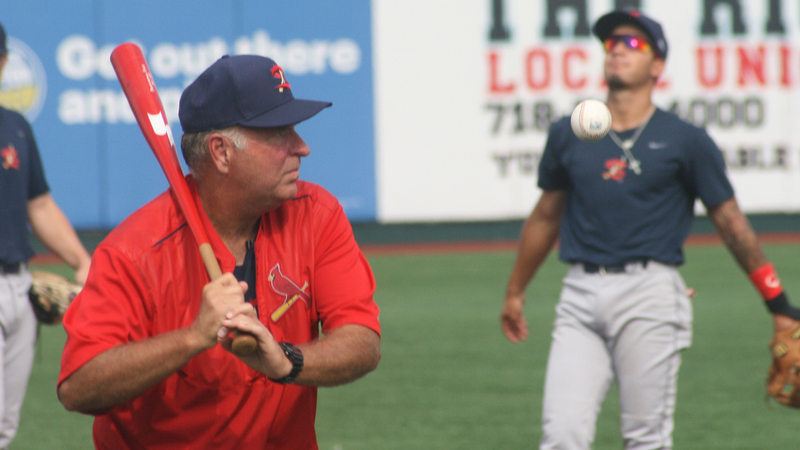 New Springfield Cardinals’ manager Joe Kruzel had a memorable first evening in town as he was introduced to the team and the area. “I didn’t expect a tornado on my first day,” Kruzel said. 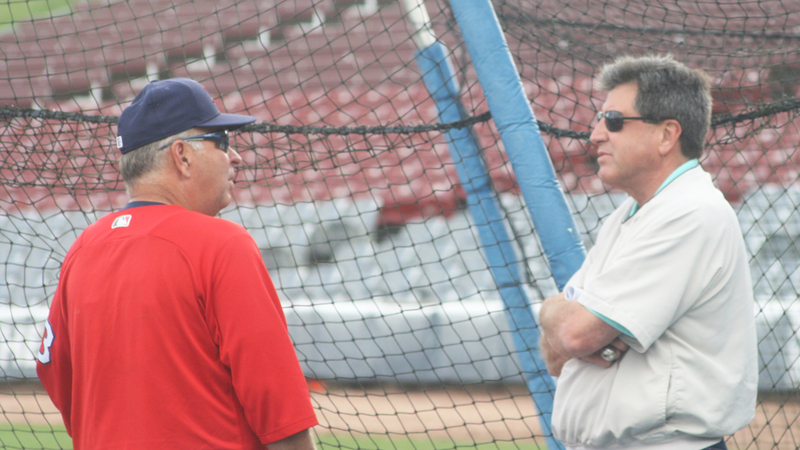 But when the St. Louis Cardinals first notified him that he would take over their Double-A club as their sixth manager in franchise history, Kruzel said he pulled over on the side of the road in his hometown of Hamilton, OH and screamed out of his car as farm director Gary LaRocque was on the other line. “It was a very emotional day for me,” Kruzel said. “It really was. To be in a situation where you have been in the lower-levels for all that time and to have the opportunity to be put in a position, I’m very grateful to Mr. DeWitt, Mo, Girsch and Gary to have entrusted in me to be the leader of this 2019 Springfield Cardinals. Kruzel was officially introduced as the 2019 skipper on Thursday night as part of a meet-and-greet event with the Springbirds Red Access Members, essentially season-ticket holders. 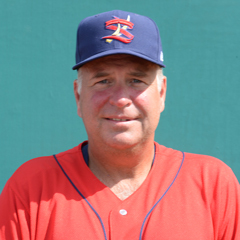 The Cardinals officially named Kruzel as their Springfield manager last month. He has a mark of 369-340 in seven seasons as a minor league manager, including six managerial seasons with the Cardinals and one with the Cincinnati Reds organization. Kruzel said he is looking forward to managing at Double-A for the first time in his professional coaching career. He said his philosophy as a coach is to create an atmosphere for the players to enjoy coming to the ballpark. Kruzel also understands that Double-A, especially the Texas League, is a different animal compared to the lower levels of the minor leagues. There are fewer opponents, hitting considered to be more advanced and longer travel. Kruzel said the biggest difference at Double-A is the players are going to have to start producing rather than just developing their skills. Asked to assess the talent that could come through Springfield in 2019, Kruzel assumes it will be very similar to years past. His expectation is they will feature some talented players that are developing and on the cusp of contributing in the big leagues. Kruzel recalled advice he recently received from former Cardinals All-Star and now minor league hitting instructor Ryan Ludwick over dinner. Kruzel expects to report to Jupiter, FL on Feb. 15 to help out in big-league camp. He should also be among those in STEP Camp with the rest of the minor leaguers reporting soon after. Springfield will break camp on March 30 and open the season on the road at NW Arkansas (KC) on April 4. Opening Day at Hammons Field is set for April 11 against the Naturals as well. Derek Shore will be back for another season as The Cardinal Nation’s Springfield Cardinals beat reporter. Catch his in-depth team reports, exclusively for TCN members, posted each Thursday morning all season long. Order The Cardinal Nation’s 190-page 2019 Prospect Guide now – available in PDF and printed book form.